This image was taken from Krita’s homepage. For some reasons, “Canvas Graphics Acceleration” is disabled for those on Mac. 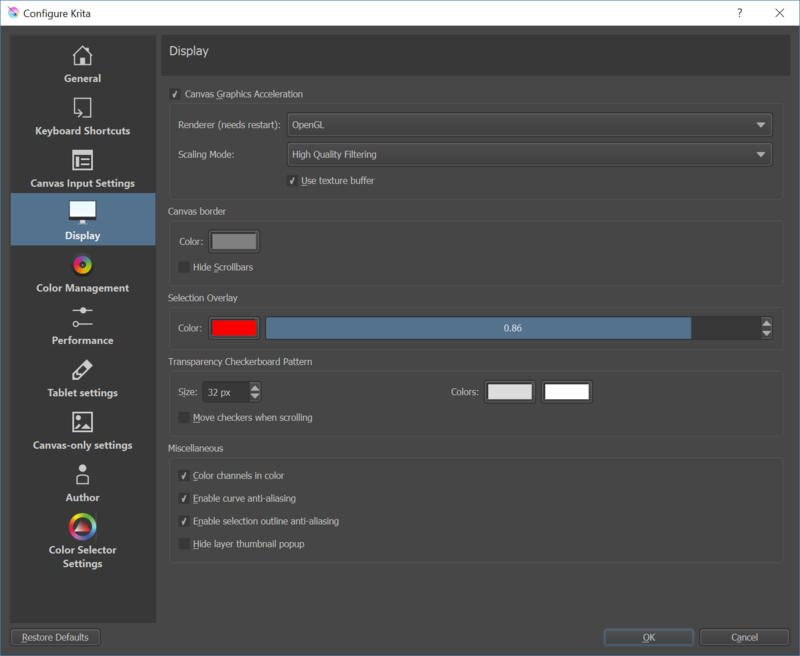 If OpenGL can’t be turned on then Krita is basically useless (for Mac users with AMD gpu?) because it’s extremely laggy. Previous version is okay, though not the best. UPDATE: You might not experience the lag if you’re on macOS High Sierra, and the option for OpenGL is still blacked out. UPDATE2: Apparently it still lag on High Sierra.